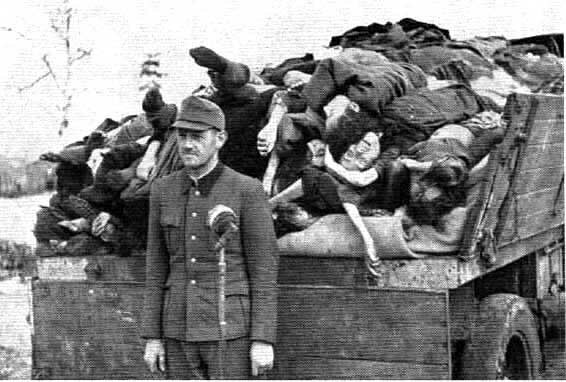 Josef Kramer, the Commandant of the Bergen-Belsen concentration camp, and 44 other staff members were brought before a British Military Tribunal on September 17, 1945 at Lüneburg. The charges against three of the staff members (Nikolas Jenner, Paul Steinmetz and Walter Melcher) were dropped before the trial. One of the 44 staff members, Ladislaw Gura, fell ill and was not tried by this court, leaving only Kramer and 43 others in the dock at Lüneburg. On April 17th, 1945, 47 other staff members at Bergen-Belsen were arrested, including 12 of the Kapos who were trusted prisoners appointed by the guards as camp supervisors. Schreirer was sentenced to 15 years in prison and Staroska was sentenced to 10 years in prison. Hoessler and Bormann were both hanged. The three women were hanged separately, first Grese, then Volkenrath, then Bormann. The 8 men were hanged in pairs to save time. The hanging was all finished just in time for the mid-day meal. 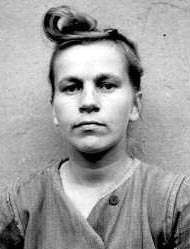 26-year old Elizabeth Volkenrath was hanged. 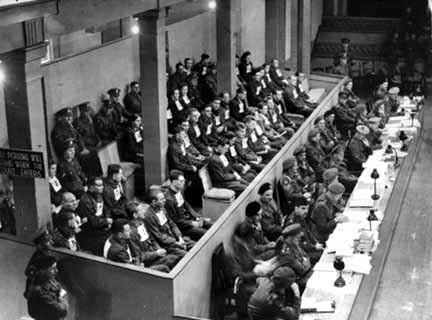 Volkenrath was found guilty of war crimes in both camps, Auschwitz-Birkenau and Bergen-Belsen.